Autoimmune diseases that precipitate changes to the skin, blood vessels, muscles, and internal organs are collectively known as Scleroderma, and its underlying mechanism consists of abnormal connective tissue growth as a result of a body’s immune system improperly attacking its own healthy tissues. Symptoms include thickened and/or stiff skin, lethargy, and deficient blood flow to the extremities, particularly during cold exposure. While the entire cause of Scleroderma remains a mystery, risk factors include family history, certain genetic factors, and exposure to silica. There is currently no established cure for Scleroderma, and treatments are available, though their efficacy remains incomplete. Therefore, increased research into novel therapies for this disease is warranted. Biomodels has established a chronic scleroderma model of the disease, as described below. Recipient C57Bl/6 mice are pre-conditioned with high dose of total body irradiation prior to the adoptive transfer of bone marrow supplemented with splenocytes harvested from an MHC-mismatched donor mouse (LP/J). 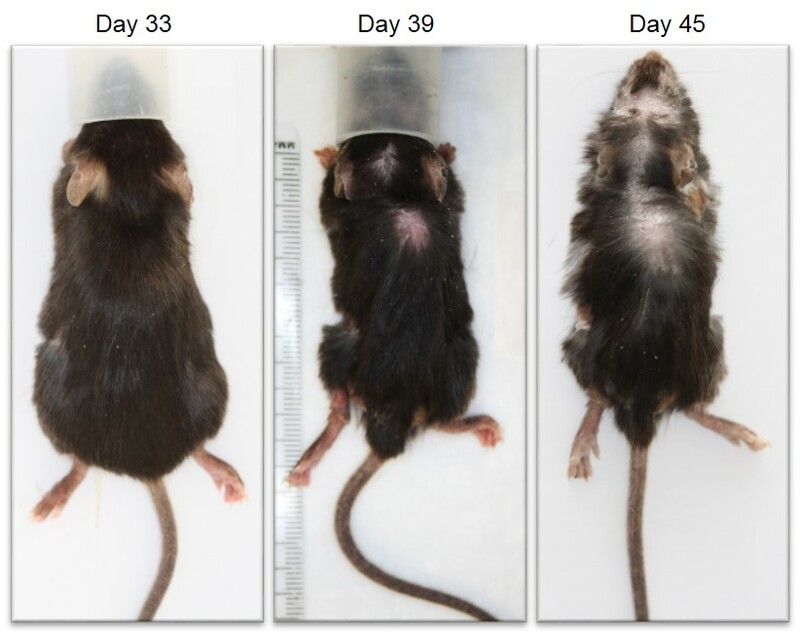 Following irradiation and transplant, the recipient mice show transient mild weight loss followed by recovery up to approximately day 21 to 28, after which they develop a progressively worsening disease characterized by weight loss, increasing GVHD score, and development of sclerodermatous skin lesions. Animals are monitored up to day 60; endpoint survival in untreated mice is approximately 50%.